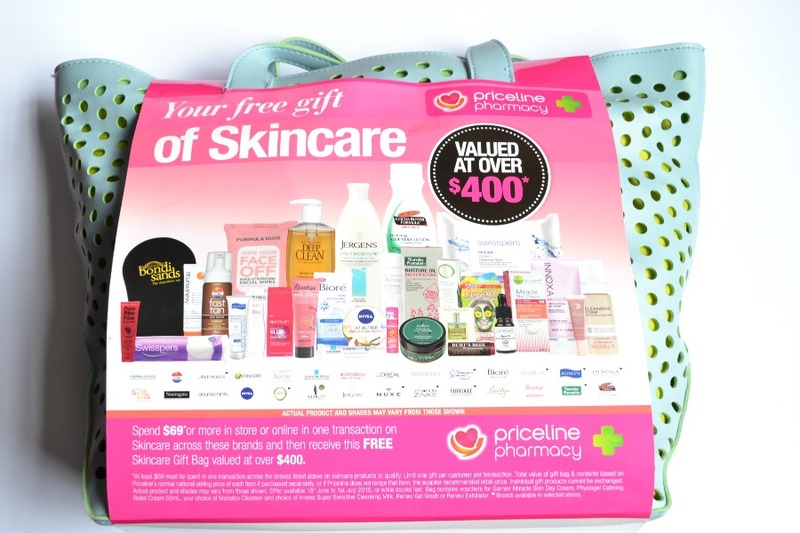 It's that time of the year again when Priceline release their annual free skincare goodie bag. 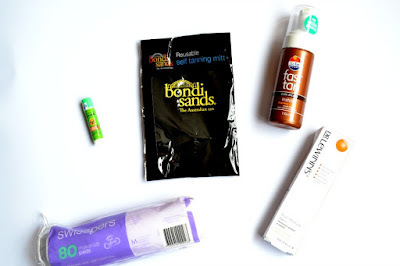 The skincare bag is always my favourite because they have some amazing products in the bag. 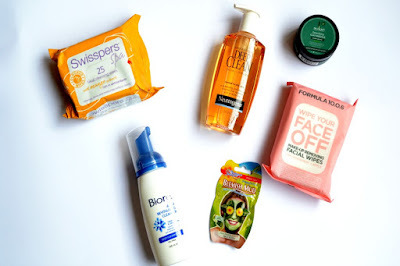 It has a mix of skincare and bodycare and I always find new products that I fall in love with after trying them. if you've been living under a rock, Priceline have a free goodie bag when you spend $69 or more on selected brands. It's available in store as well as online. Every year they change up the brands and the products available in the goodie bag. 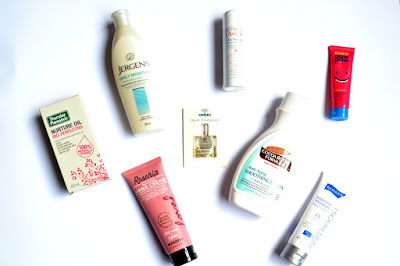 This year some of the brands included were ModelCo, Lanolips, Burts Bees, Biore, Antipodes, Avene, Bondi Sands, Dr LeWinn's, Garnier, Nivea, La Roche Posay, Bioderma, Nuxe and more!! Kudos to Priceline for including brands like Nuxe, Dr LeWinn's and Antipodes. While these brands aren't SK-II expensive, they're on the higher end when it comes to drugstore prices. 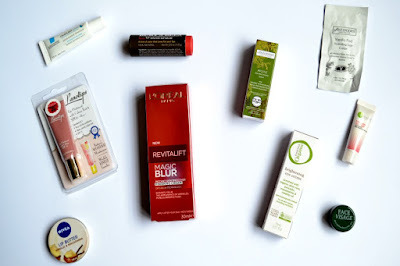 Next time I'd love to see some of the higher end brands like Rodial, Grown and NeoStrata included as I think more people would buy those brands because it's better value for money. Apart from the goodie bag, Priceline also had the skincare brands on sale too. The majority of the brands are 20% off, with a couple 25-30% off. The Antipodes cleanser and ModelCo toner are both repurchases (as you can tell I love the Modelco mist). They're holy grail products of mine and most likely I'll repurchase them again when they do their next 40% off skincare sale. I bought the Palmers exfoliator due to a recommendation from Jasmine over at Sweetaholic Beauty. 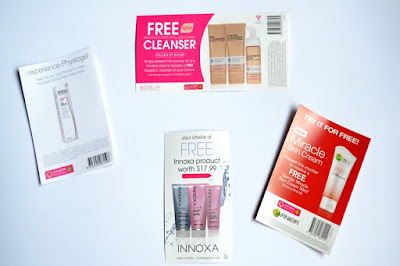 She reviewed them a little while back and the exfoliator has been on my wishlist since. I've never tried anything from Jergens, so I picked up this body lotion as I always need body moisturiser. This years bag is one of the best. Firstly it's huge and heavy!! They have a great selection of things that will suit a whole range of skin concerns and ages. Some of the bags will be a bit different. 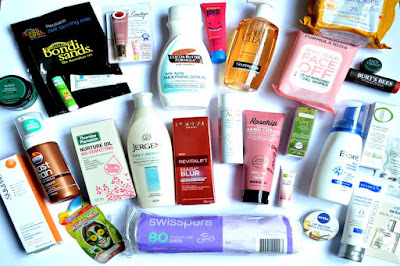 My bag was slightly different than the picture on the front of the bag (different Swisspers facial wipes, Palmer's moisturiser, Paw Paw, Biore Cleanser, zink colour). About 90% of the products are full size, which is amazing value. They've also included some flyers to pick up more free products! I love that they have the coupons to pick out your own product rather than include one that isn't for all ages/skin types. I hope that they do that again next year. Overall I think they've done an amazing gift bag! There's something in there for everyone. 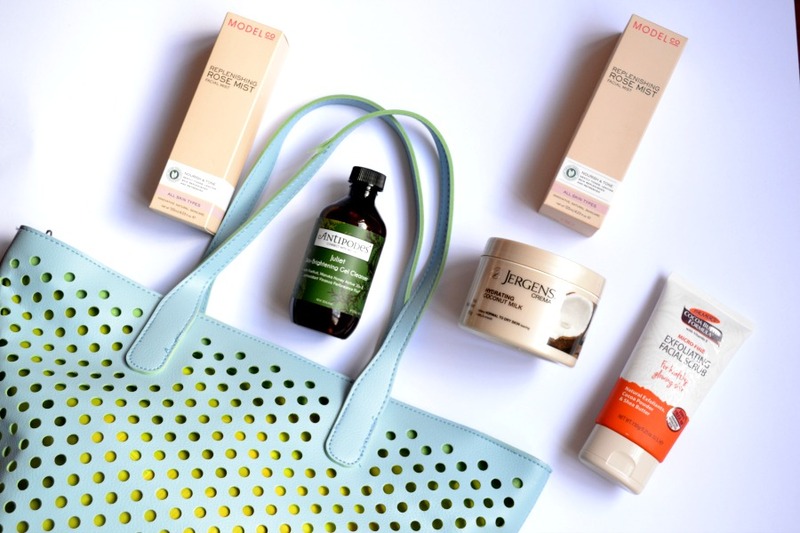 If you're thinking of getting this, get in sooner rather than later as the skincare bags seem to sell out a lot faster than the make up or haircare ones. PS Priceline please do a chevron bag next time!!! OMG!! Amazing gift bag! This is one is the best yet! It's incredible. I just saw your haul. I hope you enjoy the goodie bag too! Such a great deal! I so wish I wasn't on a no-buy so I could take advantage of this offer! Wow!!! How lucky of you to have these great products. How I wish I have them too :) And to make that happen, I just got to grab the offer.